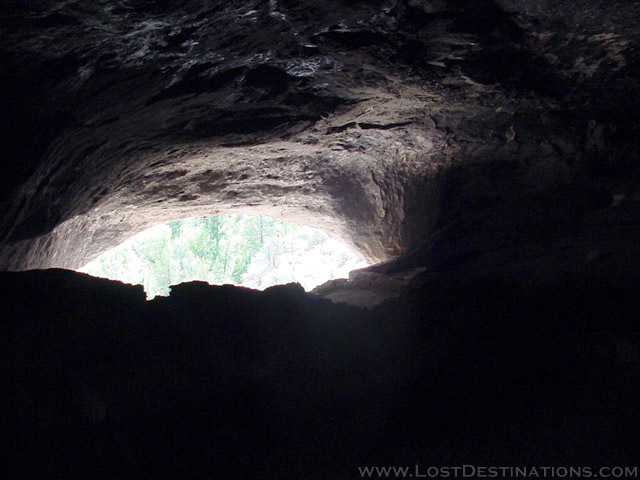 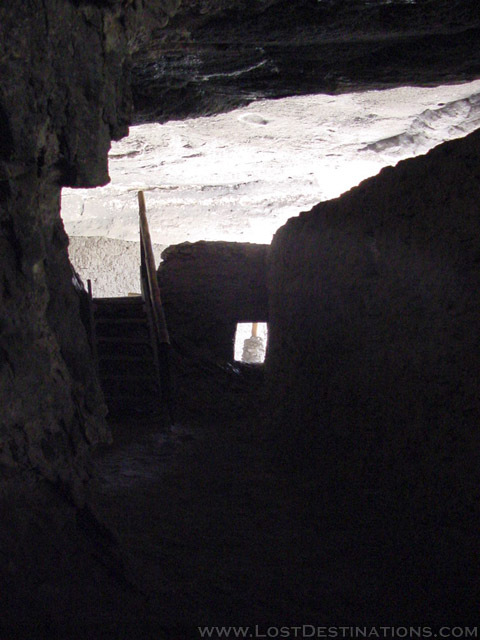 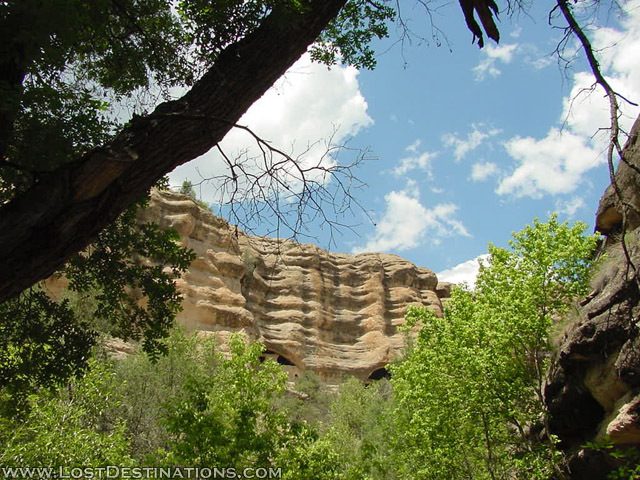 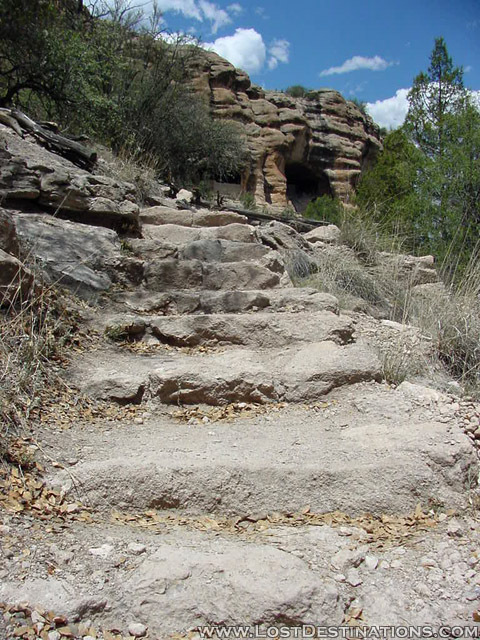 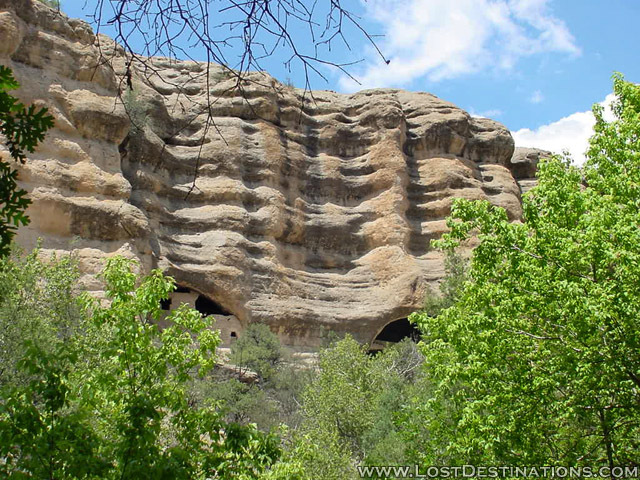 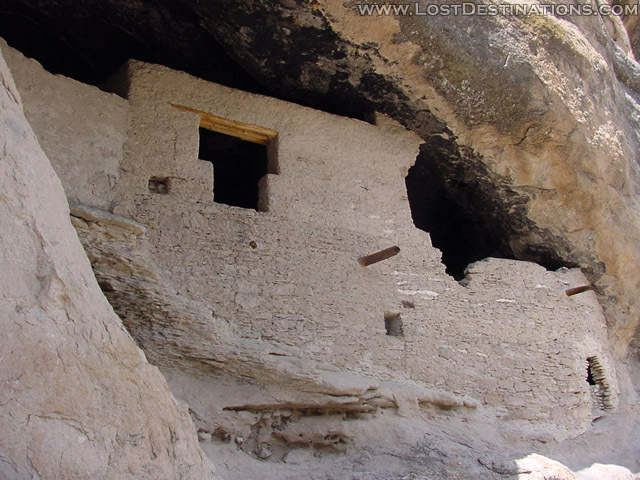 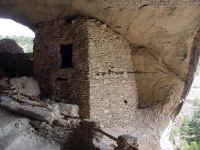 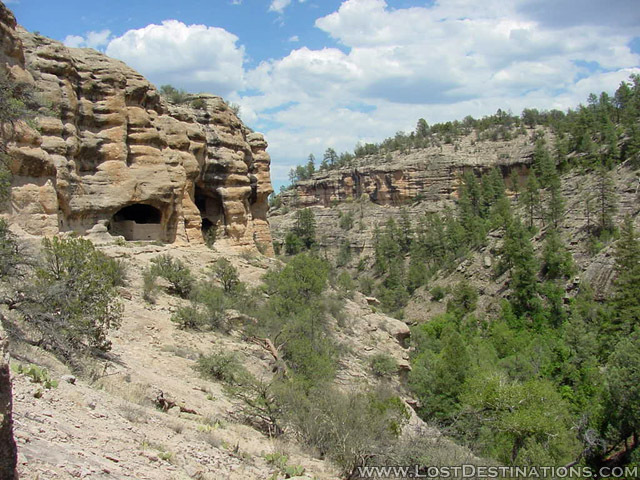 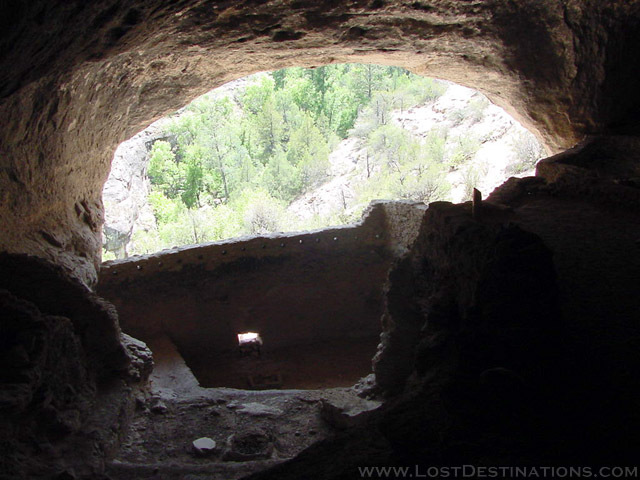 It was a still, sunny day when I set out to explore the mysterious and ancient Gila Cliff Dwellings. 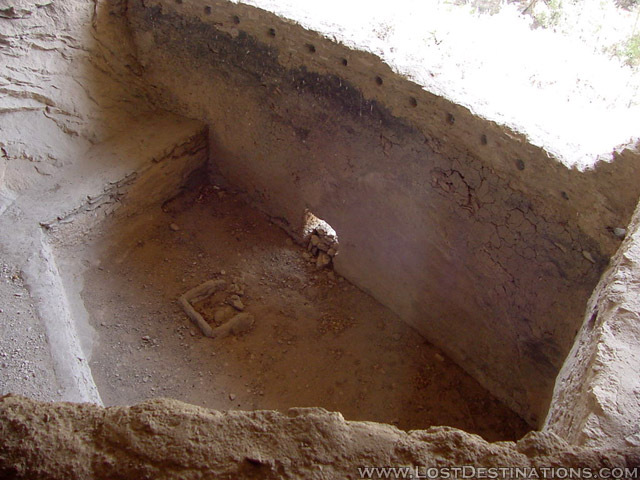 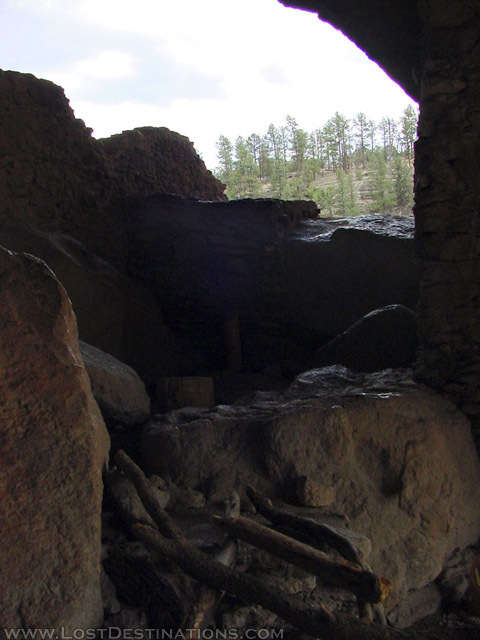 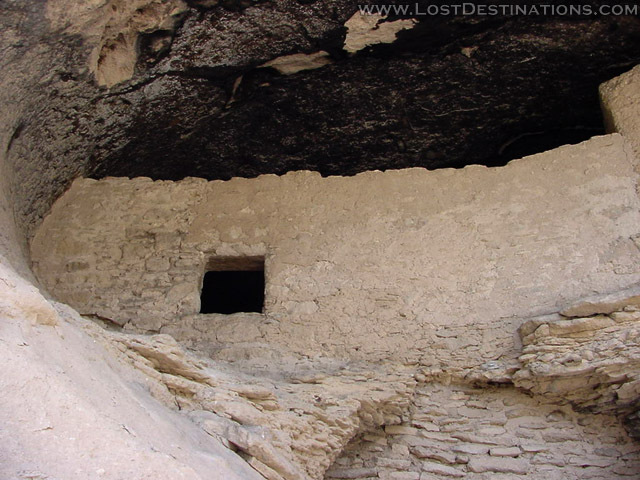 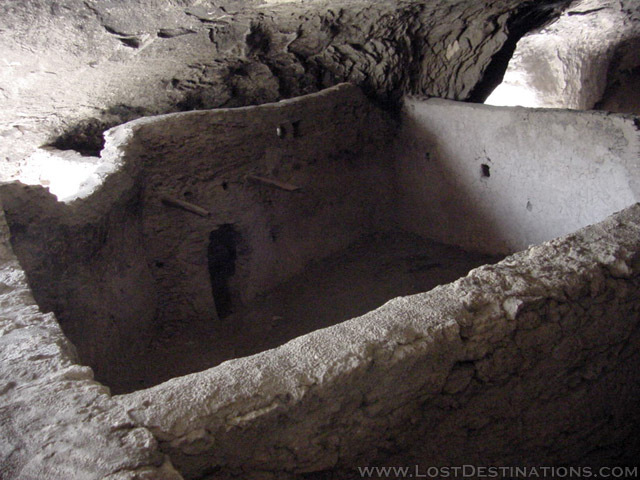 These vast, primitive remains of the former home of the Mogollon tribe (who mysteriously abandoned the site in the early 1300s) are a place of great history and mystery. 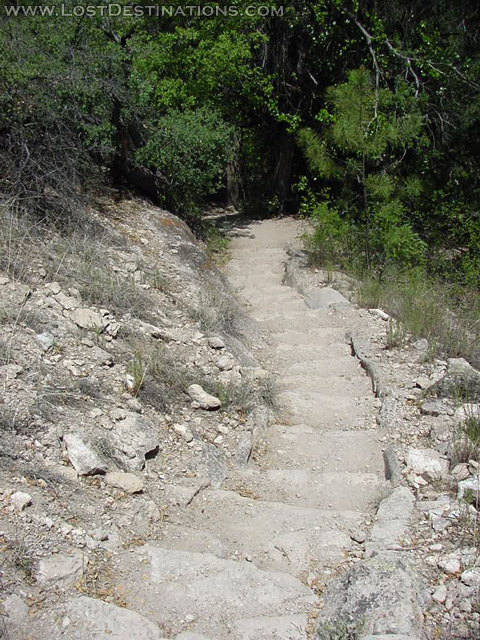 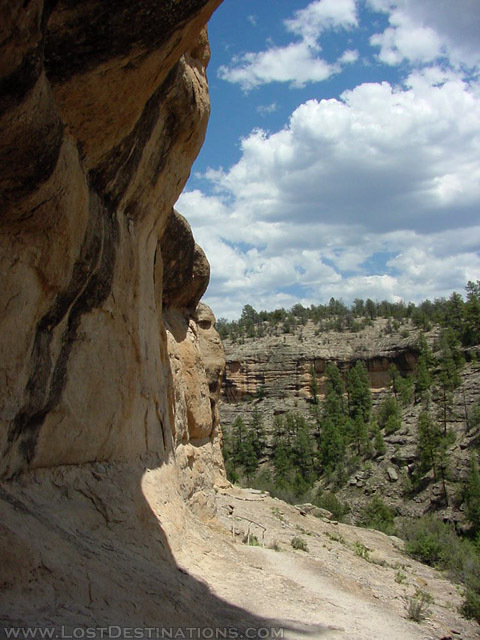 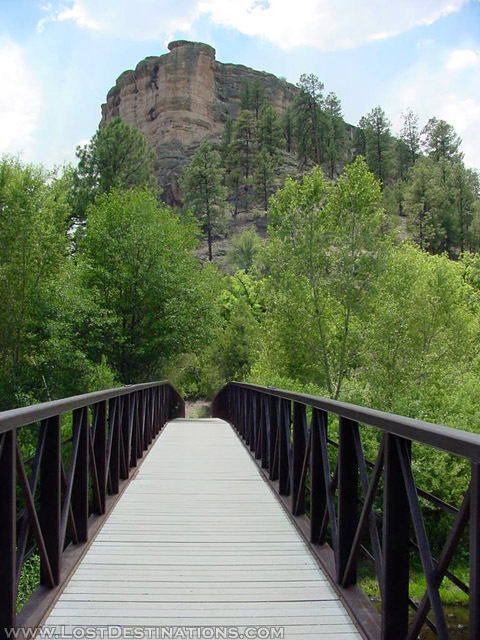 The rugged, steep-sided canyon is cut by a shallow river, and thickly forested with ponderosa pine, New Mexico juniper, pinon pine, Gambel's oak, Douglas fir, and alligator juniper. 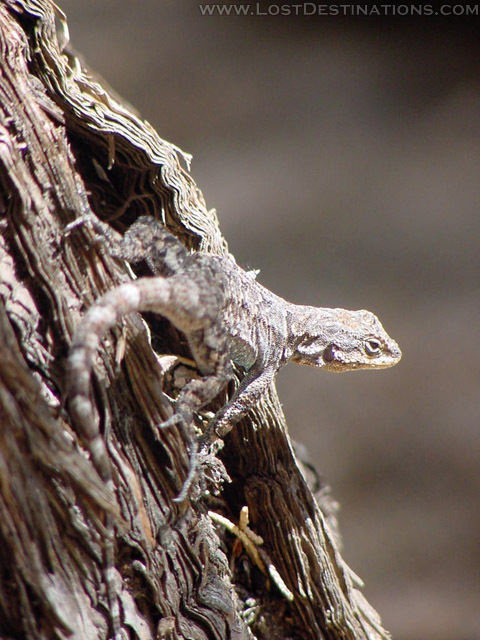 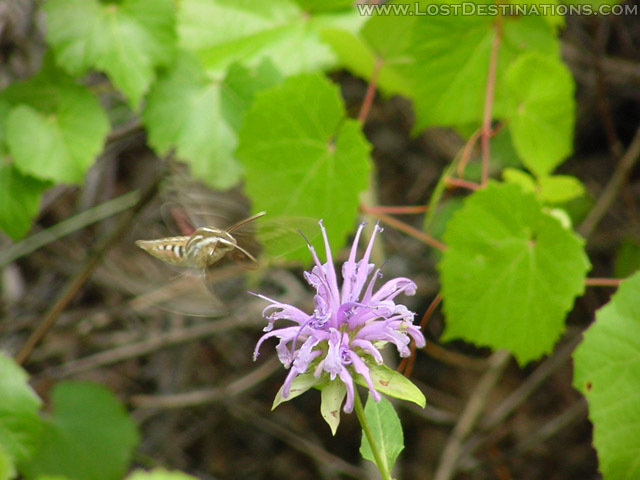 At the bank of the river we saw a hummingbird moth hovering around a purple cluster of Beebalm, and there were lizards all over the place, scurrying about and occasionally pausing on sun-baked rocks to do some of those funny lizard-pushups that they do. 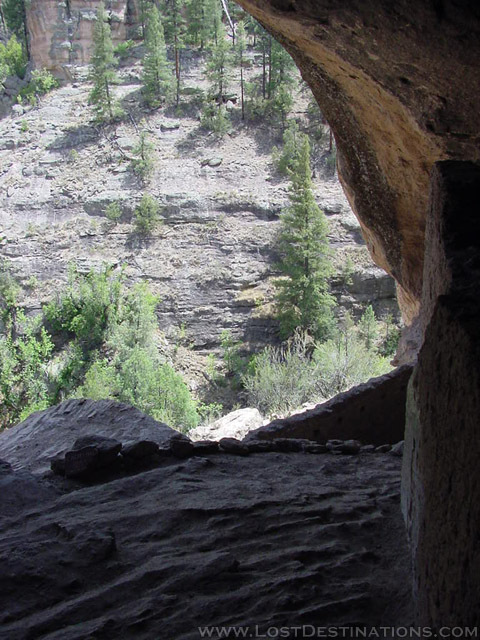 At the base of the cliffs, the trail lead up out of the forest in a natural stairway carved out of the mountain itself, then wound up to the caves, which slowly came into view between the foliage as we hiked. 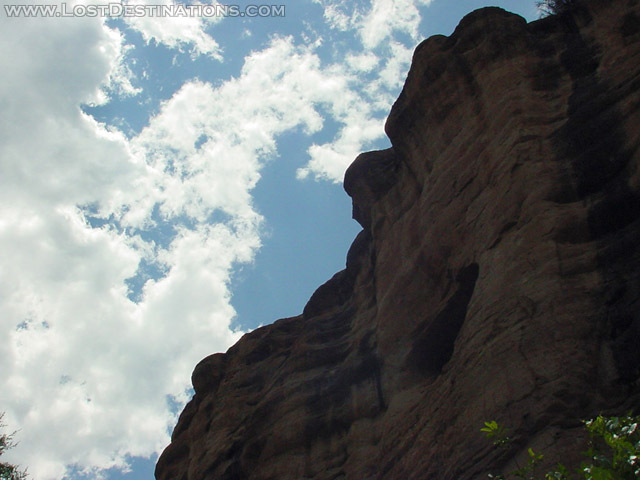 And they were a pretty amazing site, looking all prehistoric and stuff way up there on the sheer face of the cliffs. 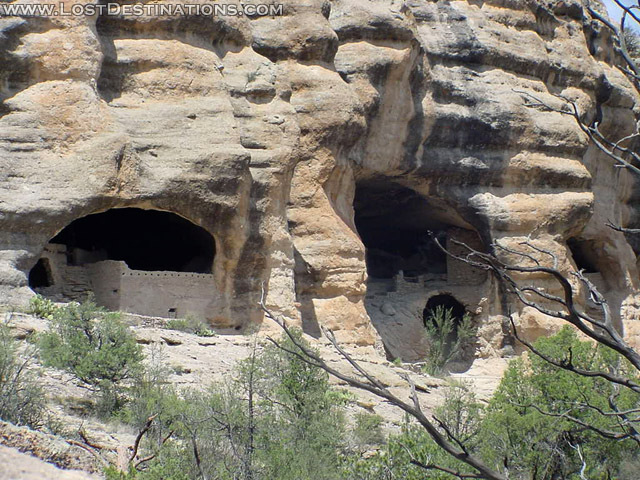 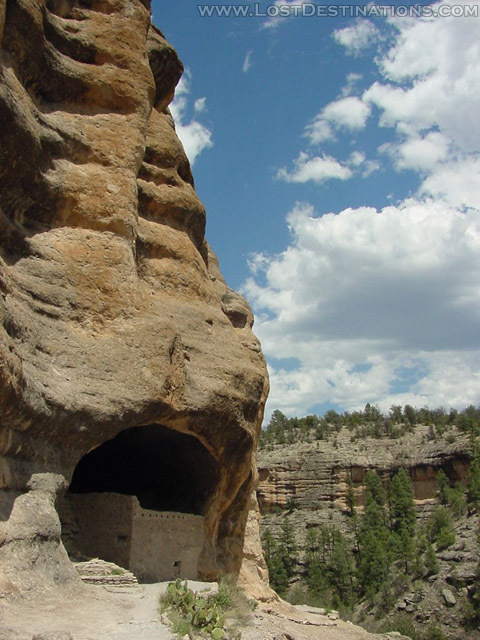 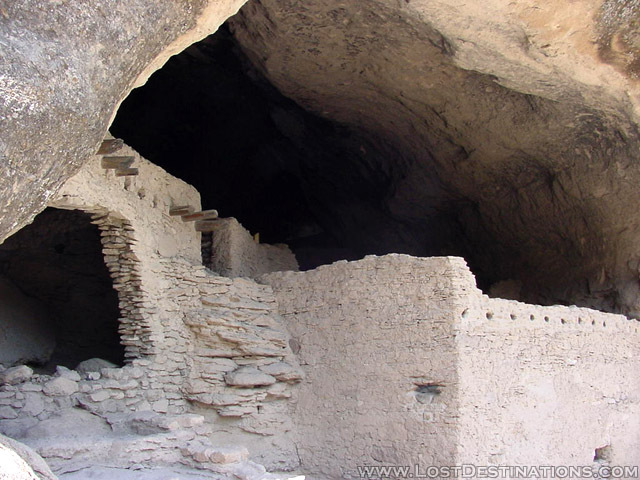 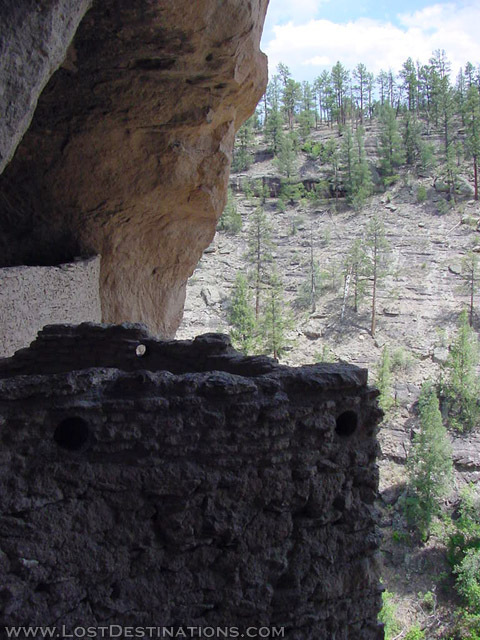 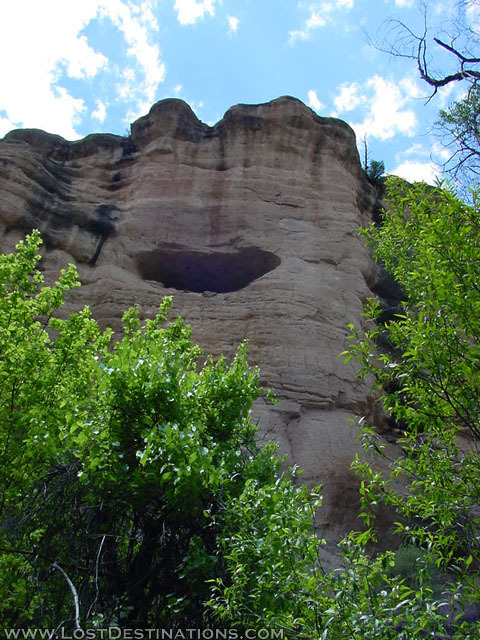 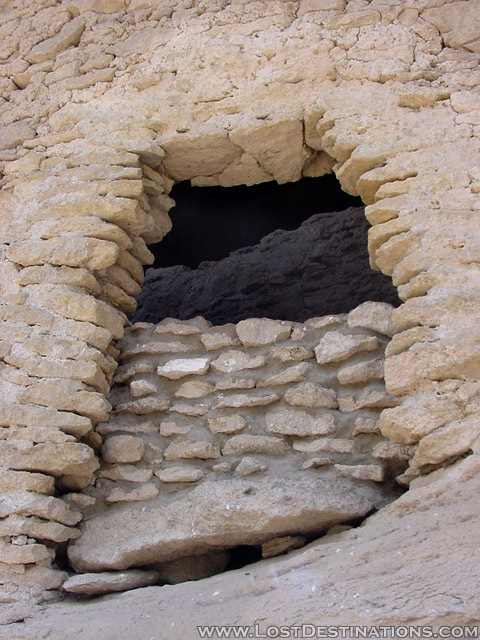 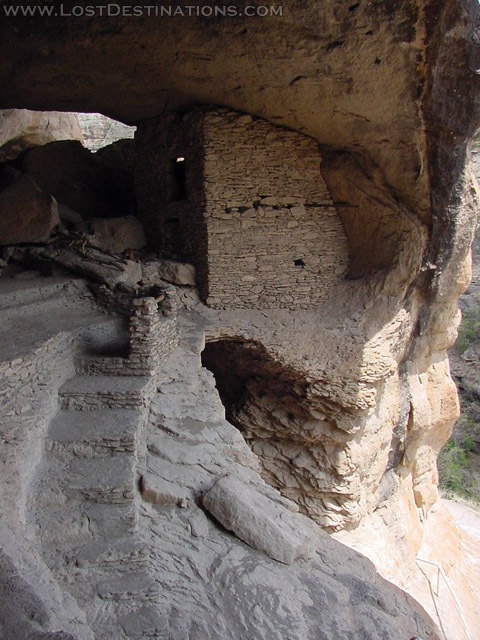 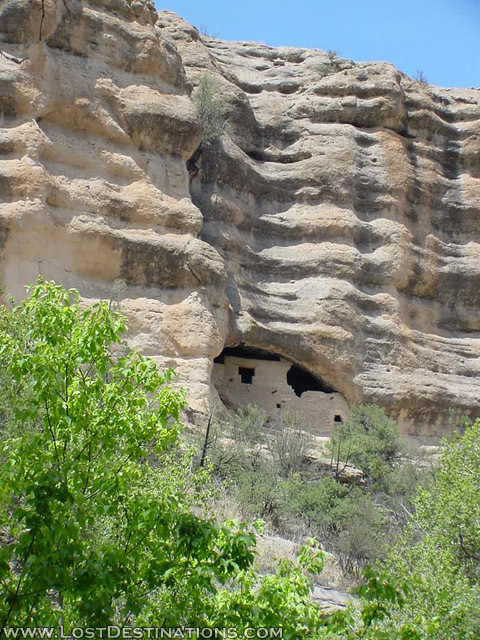 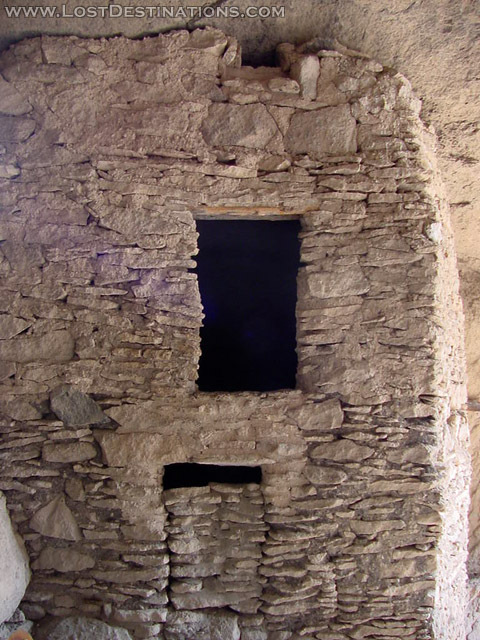 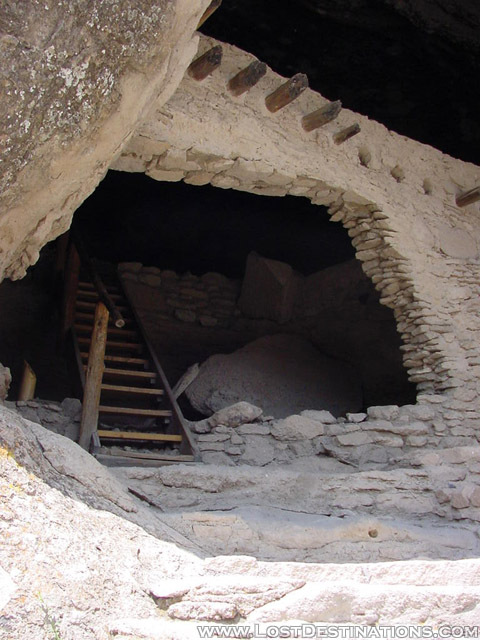 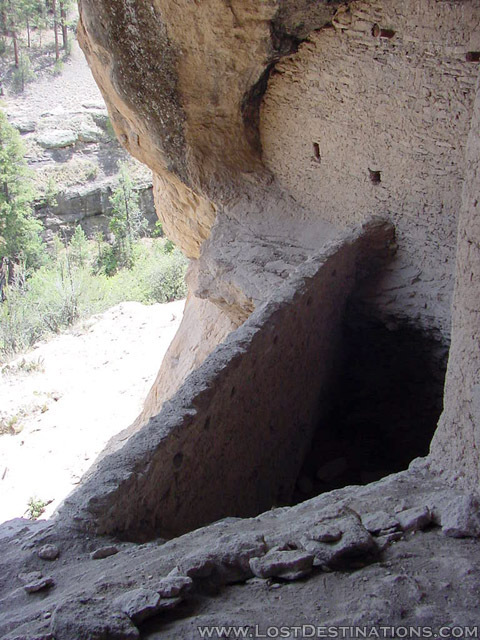 The cliff dwellings used to consist of forty rooms within five large sandstone cliff caves, built with clay that was gathered from the nearby creek or along the Gila River. 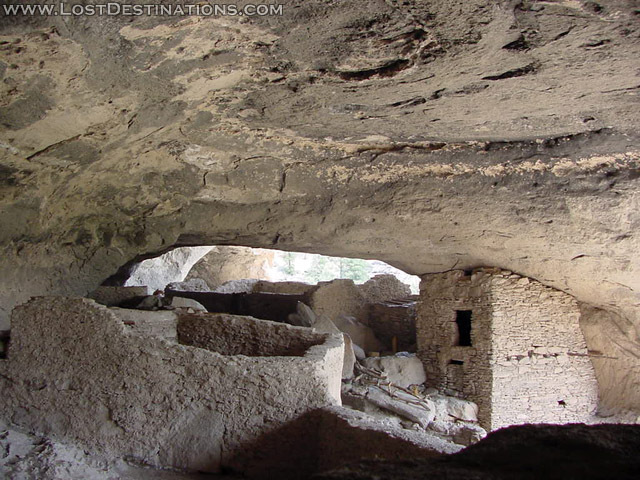 The wooden poles sticking out from the structures are support beams called vigas. 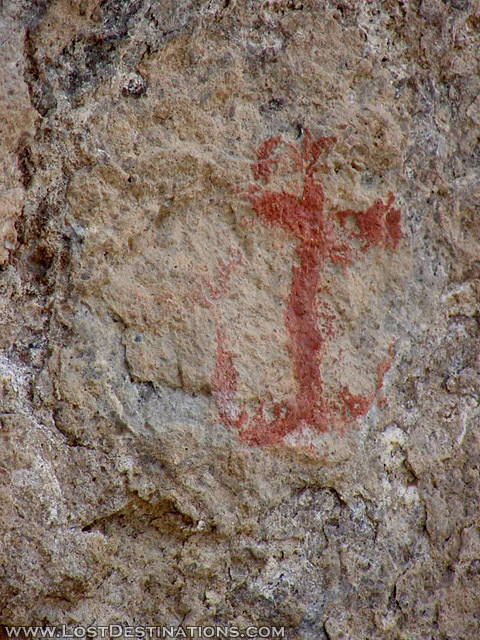 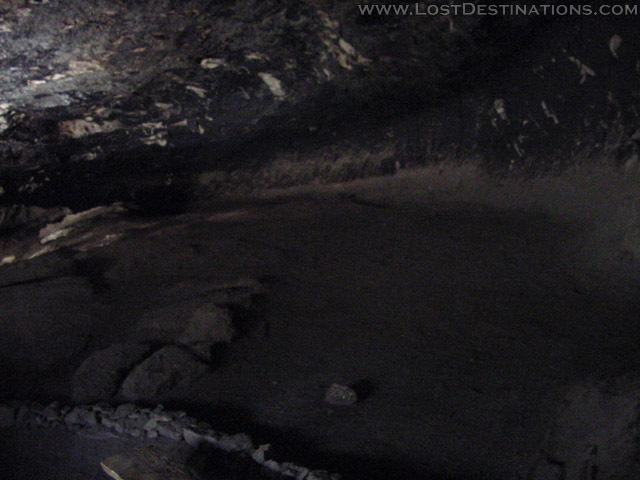 Painted pictographs still adorn the cave walls, and the enormous stone ceiling is still blackened from the smoke of many years of smoldering fires.